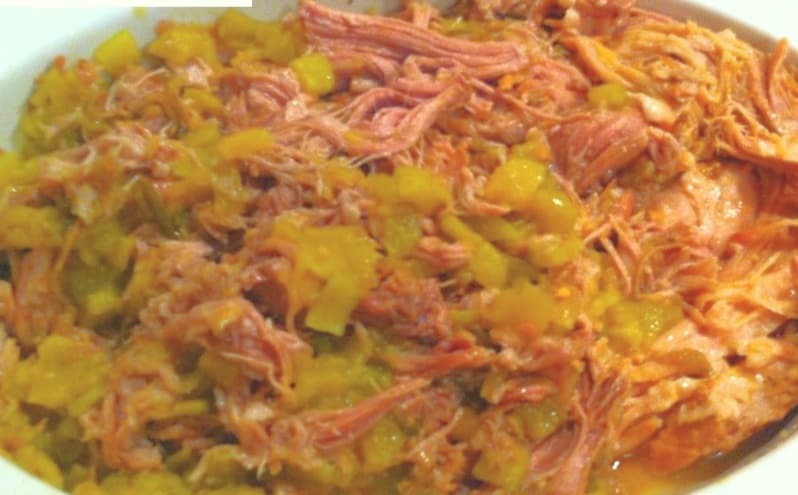 These easy Green Chili Pork Tacos are wonderfully tasty and easy to make! Perfect for a dinner idea any day of the week. It has been a busy weekend for us as we were getting stuff done around the house. Luckily my trusty slow cooker came through for me. I wanted to make some tacos for dinner, so I put a pork roast and some chili sauce to work. The results were delicious. Season pork roast with salt and pepper. Rinse off pork roast and put into slow cooker. 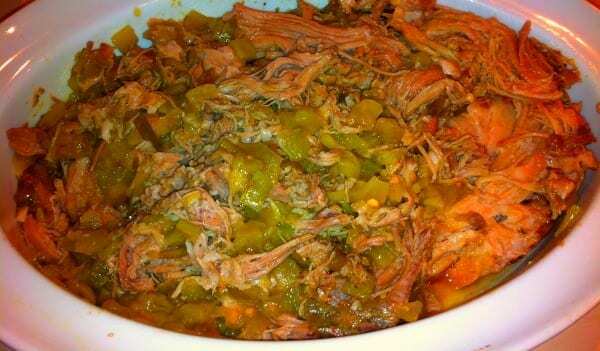 Pour bottle of green chili on top of roast. Cook on low 8-10 hours. 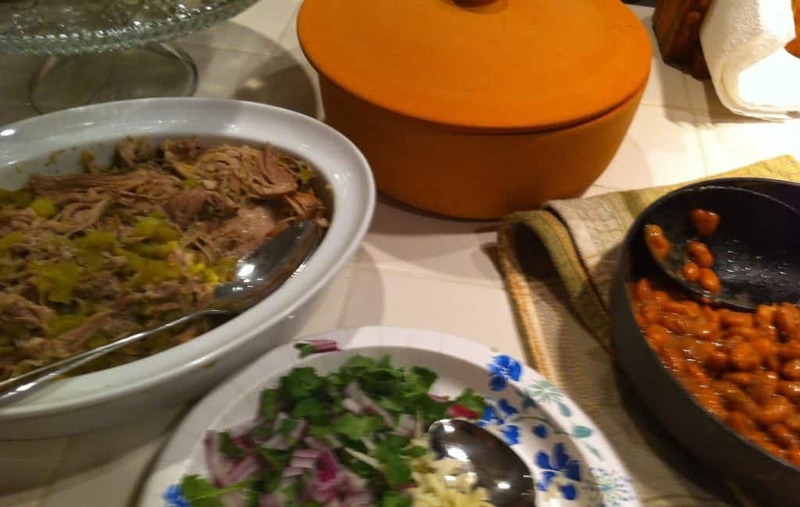 When roast is done you can serve the roast as is,or shred meat and serve with warm corn tortillas. I like to serve with some monterey jack cheese, cilantro and onions. Makes about a dozen tacos. Pinto beans make a great side dish with this dinner. How was your weekend? Did you use your slow cooker this week? Thanks Sarah! They are a favorite at our home! I love the sound of these. Pork and green chile in a tortilla is almost the ultimate comfort food. Thanks for sharing. Thanks for your comment Linda – it’s such an easy and tasty dinner! Thank you Lynn! Nice to meet you! Had to pin it! they look so good. Thank you Sonia! That made my day! Thanks for hopping by Thumping Thursdays! That looks super yummy! These look great! 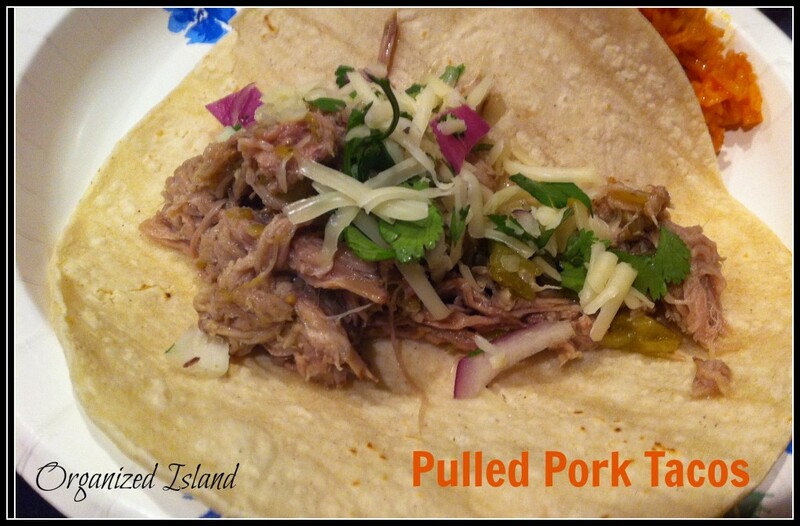 My family loves pork tacos, so I will definitely be trying this! Thanks! Thanks Christi! They are super easy! 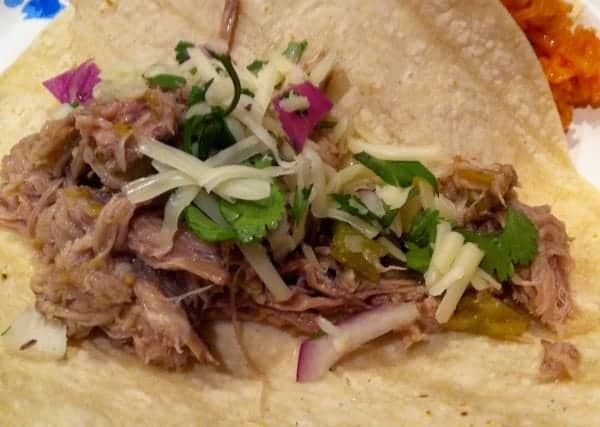 We’ve never used pork for our tacos, but this looks really good! I am not a big pork eater either but these are great. Oh wow. those look mouth watering delicious…I must try that.